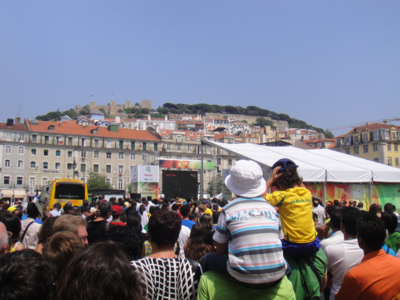 A big screen at Praça da Figueira Square, near Rossio, a very popular tourist attraction, June 25, 2010. 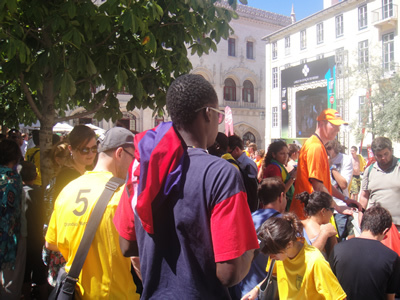 …and of course the elephant 😉 sound of the vuvuzelas! 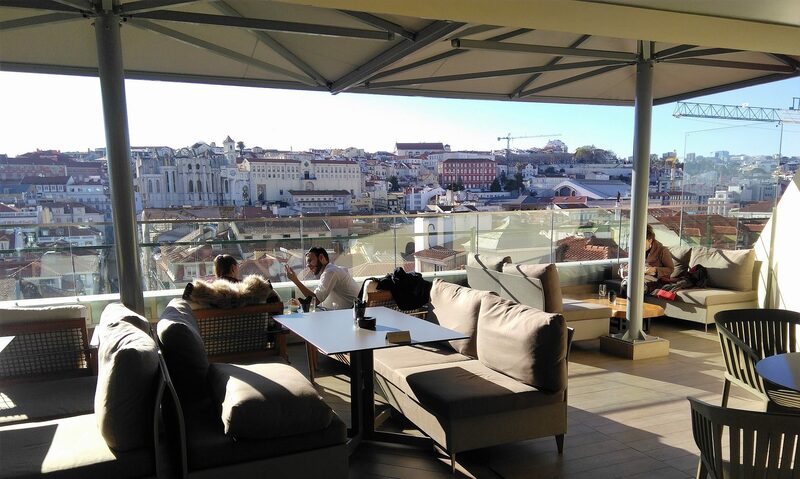 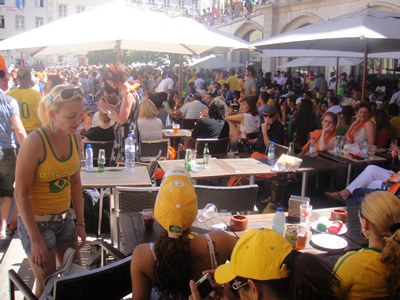 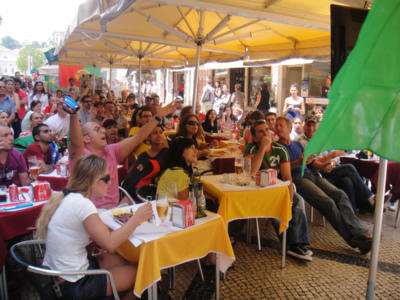 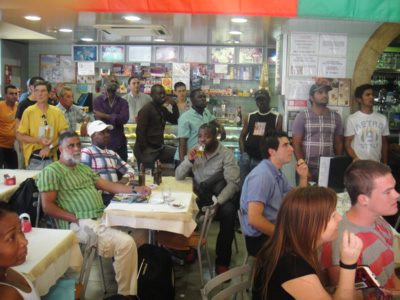 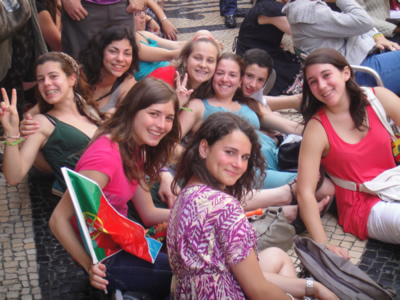 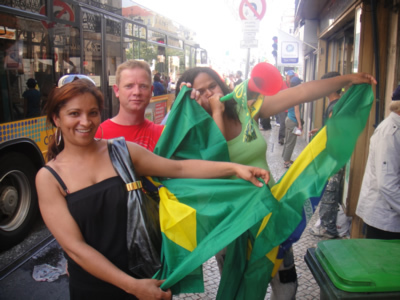 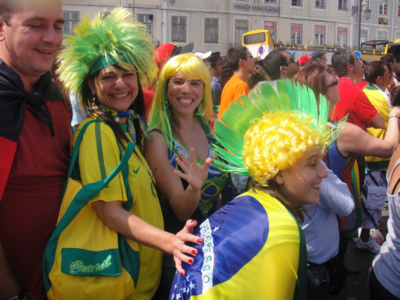 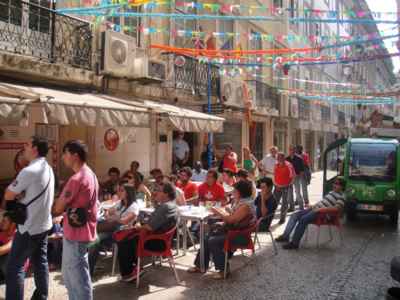 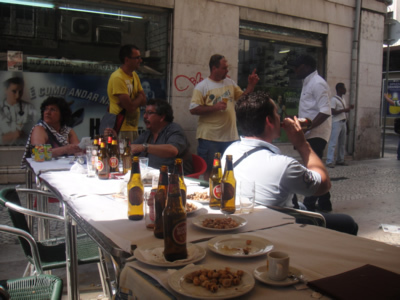 Holland vs Brazil, near the famous Rossio Station. 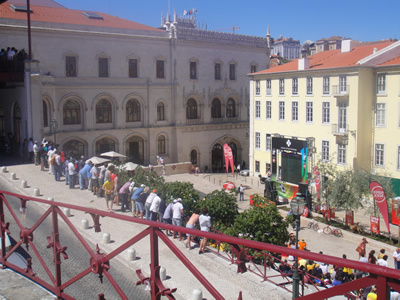 A big screen at Largo Duque de Cadaval, a beautiful place, full of open sunny open-air cafes and restaurants.